Analytics can no longer be called a fringe topic of special interest. Proficiency and competence in using people data and deriving insights from it is an essential part of your practice as an HR professional. 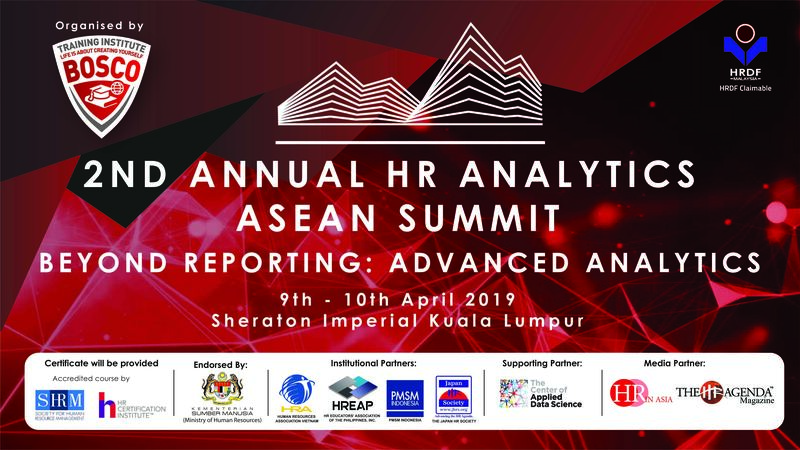 Through the deployment of insights from people data, HR practitioners can act as an effective strategic partner to the business and improve the impact of HR with evidence-based solutions and recommendations. For more information, kindly contact Soraya Sohaimi, soraya@bosco-int.com or drop by here.